Every todo item contains the tab titled as ‘Budget’. User can optionally enter the budget type and price information here. 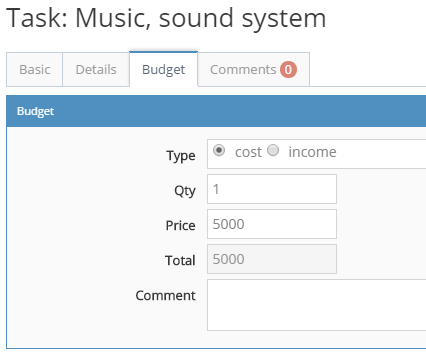 Budget information from individual todos is displayed on EVENT page with subtotals and total value providing overall EVENT financial overview.